Welcome to the store! Get the hippest PBC swag money can buy. Make sure to check back often, we’ll be adding more soon. Please note that prices do not include shipping costs and that NYS residents will be charged sales tax. Checks and money orders can be made payable to Lindsey "Z" Briggs – PBC Production Manager. Please e-mail us at: Z (AT SYMBOL) pbc-productions.com for the mailing address. PBC released 100 short films in the short span of just 2 years - and now you can own the best of our best! Voted on by fans, these 13 shorts represent the cream of our Filler Friday crop. 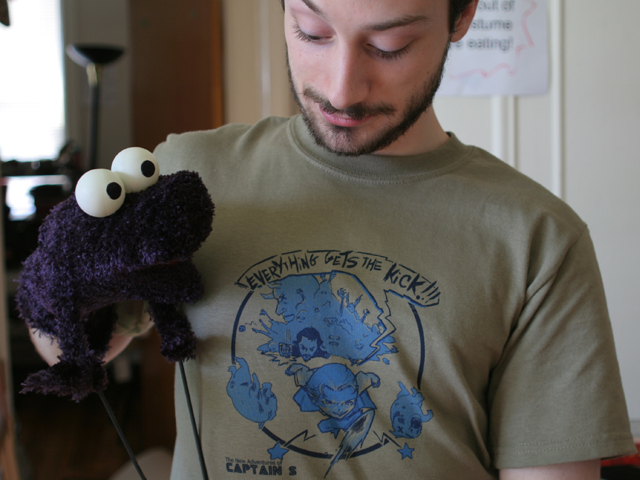 Filler Friday originally meant "the Fridays between Captain S", but grew to encompass video game launches, puppet shows, documentaries, and off the wall sketch comedy. Boasting a much higher quality than YouTube and with the addition of hilarious commentary, it's a steal at $10. Plus all sales will go directly into making new shorts like Little Miss Gamer! 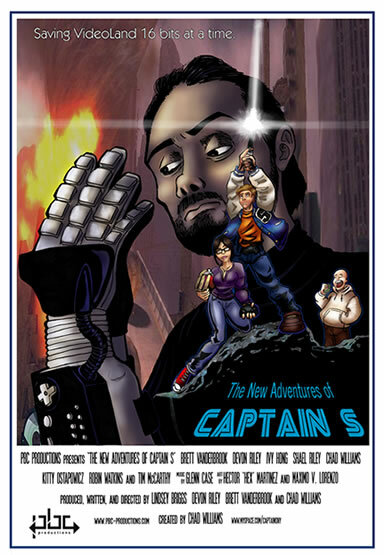 The New Adventures of Captain S - Season One DVD! 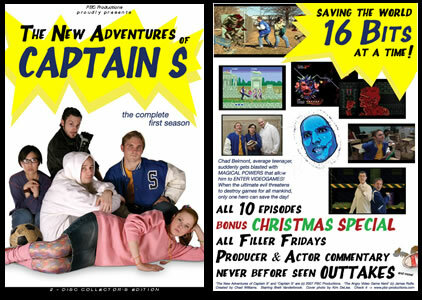 We have sold out of our limited run of Captain S Season One DVD's. If you are interested in purchasing a DVD, email us at Z(AT)PBC-Productions.com and let us know. If we receive enough interest, it's possible that we could do one last run. It’s the CAPTAIN S season one DVD! Packed with all 10 episodes of season one! Relive your favorite S moments, loathe the villains, and root on The Captain! With two hilarious tracks of audio commentary! Bonus - the Angry Video Game Nerd Christmas CrossOver Special! But wait, there’s more! Never before seen outtakes! 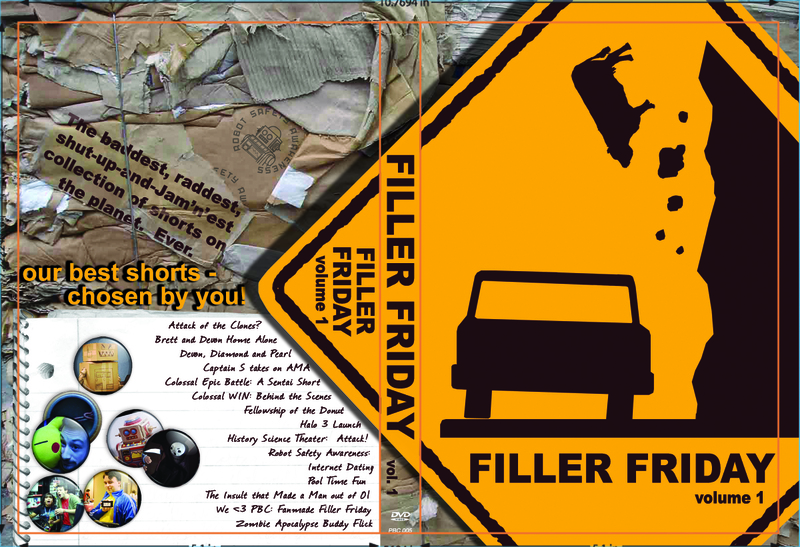 Your favorite Filler Fridays! The unspeakable pilot! And Making-Of featurette. It's a 2 Disc Collectors Edition of Awesomeness! 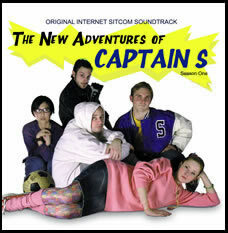 The New Adventures of Captain S - Season One SOUNDTRACK! And just when you thought things couldn't get any better - the official soundtrack from Captain S, featuring all original music by Glenn Case, including lyrics and instrumentals from the series. Buy this and ROCK OUT! Designed by Maximo V. Lorenzo. Show the world what evil looks like on a T-shirt! Featuring NES and the Game Genie, these shirts are American Apparel shirts, and guaranteed to look great and last a long time. 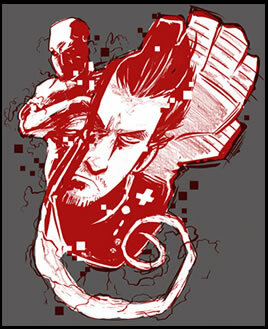 Shirts are Charcoal with red and white ink. Designed by Maximo V. Lorenzo. 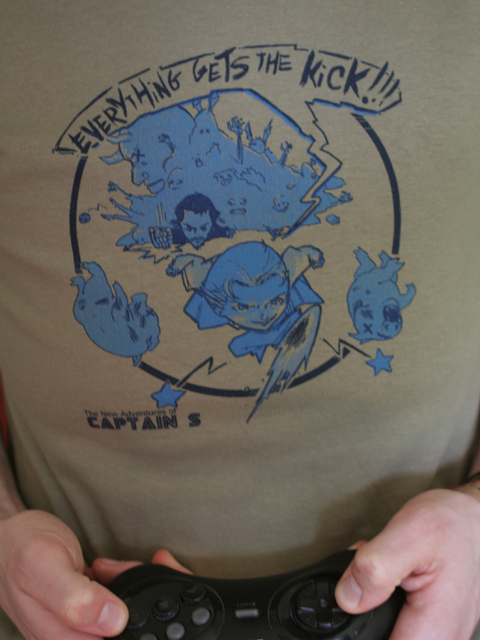 These shirts bear Captain S’s internet-famous catch phrase, and feature the Chadster kickin’ some blue pigs with a big ol’ pile of baddies behind him. Sorry NES! The shirt color is prairie dust, and the logo contains 2 shades of blue. Designed by Hector “Hex” Martinez for the show’s premiere at MAGFest 5, this is a spot-on parody of the original Star Wars poster. The poster, in glorious full color, measures 11” x 17” and will surely become a permanent fixture on your wall. 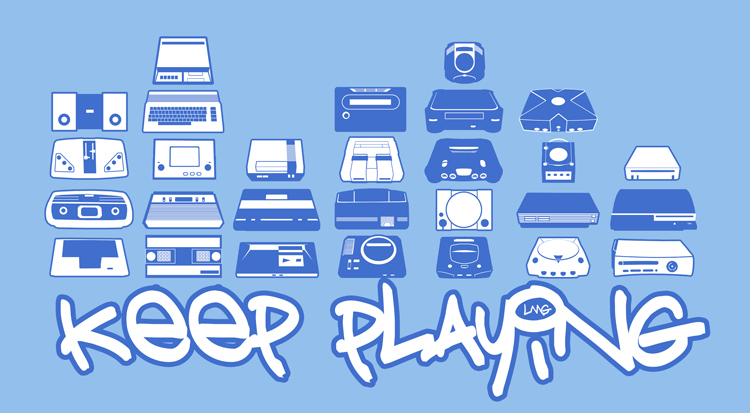 Be a savvy shopper, and buy a t-shirt and poster together. You save $5.00! Your friends will admire your purchases and your wallet stays a little fatter. How can you lose? 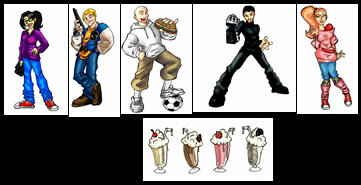 Stickers are awesome, Captain S is awesome, so it just makes sense that we would make stickers of Captain S characters. Designed by Hector "Hex" Martinez - These stickers are the coolest! Wanna show some love for Little Miss Gamer? Buy a button and wear it with pride! Be the first kid on your block to have one of these rockin 1" buttons! Need some flare for your boring bag? Sport one of these snazzy 1” round buttons and go from zero to awesome in no time. The buttons are black with blue Sega-font letters in the shape of a Genesis controller. 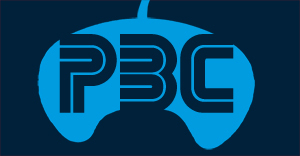 It’s 16 bits of PBC love. PBC Productions is an independent company with no financial backing. This means that every project is paid for out of our own pockets. If you enjoy our content, and would like to continue to see more from us in the future, we kindly ask you to donate a little to keep our efforts alive. Some day we hope not to have to do this, when investors are knocking down our door to fund our projects, but in the meantime we need all the help we can get. Thank you!